Creating Memories for Children and Adults for Over 30 Years! 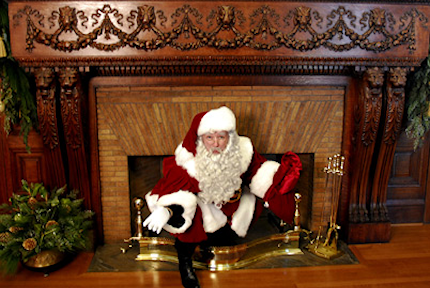 Tom Long, has played Santa since his early 20s, when he first applied at a mall in Ohio. He hopes his sons will someday carry on the tradition. 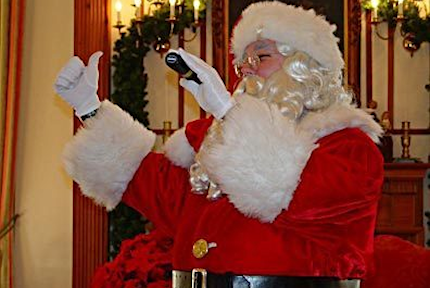 Fond childhood Christmas memories of special visits with Santa at Chapel Hill Mall in Akron, Ohio inspired Singing Santa to make a decision at the age of 21 to bring the same joys of Christmas to children for a life time. So with the help of a local Santa, a training course in being a great Santa, and a heart’s desire to be the best Santa ever, Singing Santa set out to the keep the Spirit of Saint Nicholas alive. Singing Santa was hired at Chapel Hill Mall, as the youngest Santa ever in the mall’s history. This young Santa was given the coveted position of riding in on a baby elephant, a long running tradition at Chapel Mall, on opening day November 22, 1985. The rest as they say is history! Since those early days Singing Santa has been a busy Jolly Old Elf with numerous Santa Claus visits around the country. 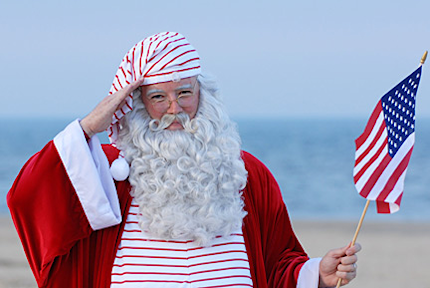 In 2015 Singing Santa Claus marked his 30th year of service! 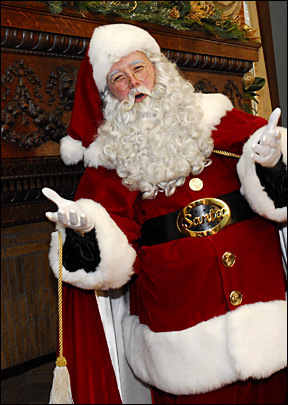 To learn more about Singing Santa, visit the Singing Santa Claus Gallery or if you would like to find out if Santa is available for a visit with you, contact Santa’s Executive Assistant, Tom Long. What people have to say about Singing Santa Claus! If you are looking for the ultimate Santa, then look no further! If you are looking for the ultimate Santa, then look no further, Mr. Tom Long is the best. My heart was filled with the joy last night to see the awe of my grandson’s face. Because of you, my grandson will have memories for a lifetime. All of the children and the adults, too, have such wonderful memories from your visit. Your visits are truly a special part of the Christmas season for us! Mr. Tom Long has been Santa to hundreds of students for Butts Road Primary School for the past several years. He is so convincing in his role that even his own children do not recognize him. Thank you once more for sharing such Christmas joy with us! Please keep us in mind once you begin scheduling home visits for this year. We would love to have you join us again! Tom’s demeanor along with his wardrobe and music set the scene for a magical program. He is meticulous – his costume exquisite.